To win a Michigan Driver’s License Restoration Appeal, you have to be Sober. It’s been a while since I’ve written about this topic, and the number of recent inquiries from those who want to get their License back but haven’t yet quit drinking means it’s time to address it again. If you’ve had your License Revoked for multiple DUI’s, you cannot get it back until you go through a process called a License Restoration. This is done through the Michigan Secretary of State’s Driver Assessment and Appeal Division (DAAD), and requires certain legal documentation just to get started. The most critical of those documents is the Substance Abuse Evaluation, which is a state form that needs to be completed by an accredited Substance Abuse Counselor. The form is completed as part of what really is a larger, clinical evaluation. Although the form is entitled a “Substance Abuse Evaluation,” it is really just a summary listing of the more salient points learned during the actual evaluation. And for all of the information required to complete the Evaluation form, the key is that you are Sober, and will remain that way. In other articles, and on my website, I examine the License Restoration process and the numerous things that one must do to begin a License Appeal. In the interests of brevity, this article will focus on the key issue that is critical even before a person begins thinking “License Appeal.” Being legally eligible to file a License Appeal has nothing to do with the most important eligibility requirement: Sobriety. Of all the things a person must prove to win their License back, nothing comes close to having to prove Sobriety. I am sometimes asked by those trying to handle their own License Appeal, “How do I prove Sobriety?” I don’t know how to tell anyone else to do it, but I know how to do it. It’s what I do every day, and I do it well enough to Guarantee that I will win any License Appeal I handle. Whatever the recipe for proving Sobriety, you can’t even begin to think about proving it unless you’ve gotten it, first. If you’ve gotten Sober you fundamentally understand that, even though such a lifestyle, years later, becomes “second nature,” it is a monumental departure from how your life used to be when alcohol was a part of it. You cannot play darts on Tuesdays and Thursdays at O’Malley’s Pub (even if you have, thus far, only consumed diet Coke, or whatever) and think you’re living a “Sober lifestyle.” Living an alcohol-free lifestyle does NOT mean you cannot go to weddings, or have to live like some kind of weirdo. It means, though, that if you get an invite to a Saturday barbeque, and you know the person throwing it, and the people who will be attending it are all big drinkers, and you know the food will wind up being an afterthought, and that the affair is likely to turn out to be a yahoo drunk-fest, you decline. On the other hand, if you get an invite to a Saturday barbeque, and you know, even though there will be some beer in the cooler and some wine available, that it will be mostly family people, some of whom might have a beer, but that it won’t devolve into a drunk-fest, then you can safely go. That the person’s alcohol problem is under control. This means that the person has not had a drink since “X” date (this is usually described as one’s “Sobriety date”), and that the person’s alcohol problem is LIKELY to remain under control. This is the bigger issue. This means that the person is not likely to ever drink again. Finding that a person is not likely to drink again involves a lot more than just having the person reiterate an intention to not drink again. Anyone can do that. It involves a rather synthetic analysis of the changes a person has made in their lives and in their thinking. It involves making an inquiry into whether the person has internalized the notion that they cannot drink again. For those in AA, this more or less translates into whether or not a person has really “gotten” the 1st step, and understands the need to work that step, 100%, every single day. For those not in AA, it means that the Hearing Officer has to be convinced that the person filing the License Appeal is convinced that they can never drink again. Yet for as much information as I have posted about this, we’ll keep getting calls from people who take one look at the sheer volume of the information I have written about the License Appeal process and conclude “he’s the guy,” and then call me. If my only interest was in taking all comers who could pay my Fee, I’d be set. Yet the whole point of this article, and so many of the other things I’ve written is that I will ONLY take a case if a person has really quit drinking. I Guarantee a win, but I can only do that when a person has made the decision to eliminate alcohol from their lives. I’m only “the guy” for people who are Sober, because the entire License Restoration process is designed to screen out those who are not really and truly Sober. I think this point is important. Chances are, if you’ve read this far, you’ve either made that transformation from drinker to non-drinker, or are at least seriously contemplating doing just that. It’s a safe bet, I think, that anyone who harbors the belief that they can still drink, even after multiple DUI’s, would have quit reading by now. I have a Guarantee. I could not offer that Guarantee if I didn’t require that someone really has quit drinking to become my Client. And if I didn’t require that, I could have a LOT more Clients. Honestly, I’d say that more than half the calls that come into my Office are from people who are not yet Sober. I’d more than double my income if I took their cases, but I could never issue a Guarantee. This separates me from most (I’ve been told all) other Lawyers, whose only “requirement” to accept a case is a Retainer Fee. If you’re really Sober, then you fundamentally understand being honest. 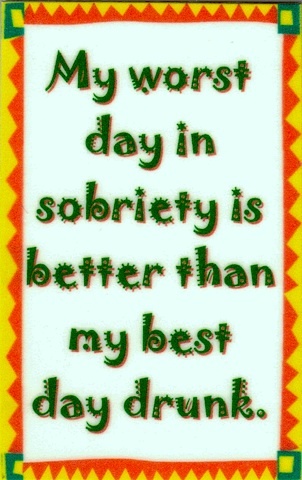 Before you can ever get Sober, you have to get honest with yourself. I win almost all of my License Appeals the first time because I’m honest, and I play by the rules. I don’t ever try to “rig” an Appeal or “game” the system. I win fair and square, and I win almost every time. I have a ROCK SOLID reputation for only bringing Sober people before the DAAD. I would never destroy that by lowering my standards; my integrity is NOT for sale. All of this will make perfect sense to anyone who is Sober. And if you’re really Sober, then you have the first, necessary requirement for a License Appeal. If you’re not yet Sober, then you probably wouldn’t have finished this article, and would have clicked off of it impatiently. If you haven’t really quit drinking for good, I’m not your guy, but if you have, then maybe we should talk about finally getting you back on the road.